Anything better than a 250 dollar Acer laptop. It was so relaxing and fun! I really wanted to get off the boat and take a look around .>w> the islands were so interesting and full of a mysterious a aura. I felt like there was a history of what happened or what was this place/world. and OH! the green butterfly was the last I got. I went through all the places and checked every corner. I laughed a lot and had tons of fun when I saw the racing track and disputed with the butterfly. But When I got to that colliseum... I felt like I would face some ominous boss or something. Really liked the simple aesthetics and gosh If I loved watching the character's expression. I wish there were a way to accelerate even more for covering longer distances quicker tho. Overall You did a WONDEFUL job with this game. Hey I just want to say as one of the creators it's cool to see people still playing this game. Thanks! We worked very hard trying to match the n64 aesthetics as well as making sure the world felt lived in. Im glad you enjoyed how the boat felt! That was one of our main goals, we wanted to make the boat have weight to it so that it felt nice and realistic why still being fun to drive around in. Yeah the finale was just us asking ourselves how do we end this but I think the conclusion we made fit what we were going for. As for what it means we kind of leave it up to how you interoperate the story of the game, i mean we definitely our own interpretation but we like to keep it a secret. But I am glad you enjoyed the game! Thank you very much for playing. Hi! This game was a lot fun. So relaxing. I put a little humor in my video. I hope you enjoy it. Keep making games! I left a longer comment on the Game Jolt page, but this game was really relaxing, but also kind of unsettling. Maybe it's just me and I'm weird, but I enjoyed it still. I just need more time to find those butterflies. What a pretty game ! I enjoyed playing it. Also... There is an island behind the clouds where we can't go. That's very frustrating ! I have a theory about this island. Maybe it's the place where the girl lives? It seems to be a very large island after all. Like many other people I would love to be able to get off the boat to discover a little more of the world. Thank you for a such poetic game ! Hey thank you so much for playing! We have a lot of theories ourselves for what each island is and how it may pertain to the girl in the boat. It is always interesting to hear what other people think. Thanks for sharing! 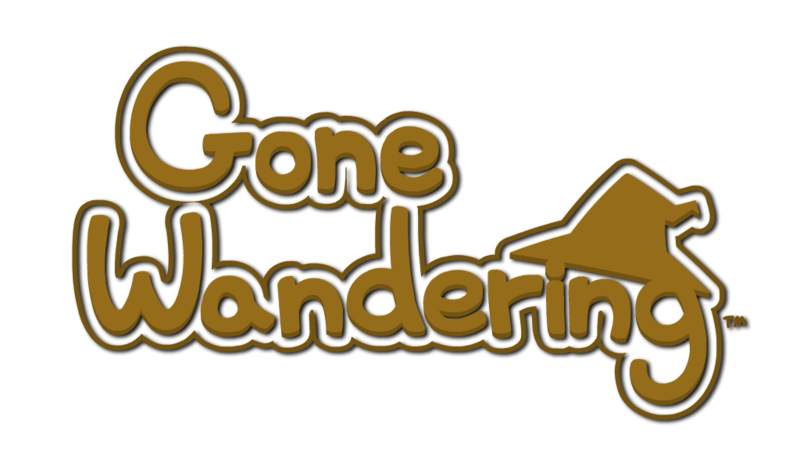 A fun and relaxing game for a fun and relaxing time, Gone Wandering is a pleasant boat ride around a handful of happy little islands where the only residents are butterflies, you, and a net. It's great for when you want something different to play, like cute things, or just want to unwind with something a bit more casual. I dig it. Despite its simplistic nature, I genuinely had a lot of fun playing and recording this. Even doing the editing was an oddly enjoyable experience. Thank you for the comments and video! Me and Alex appreciate it :D I'm glad you enjoyed it!